Acura is planning something special for midsize luxury sedan buyers. 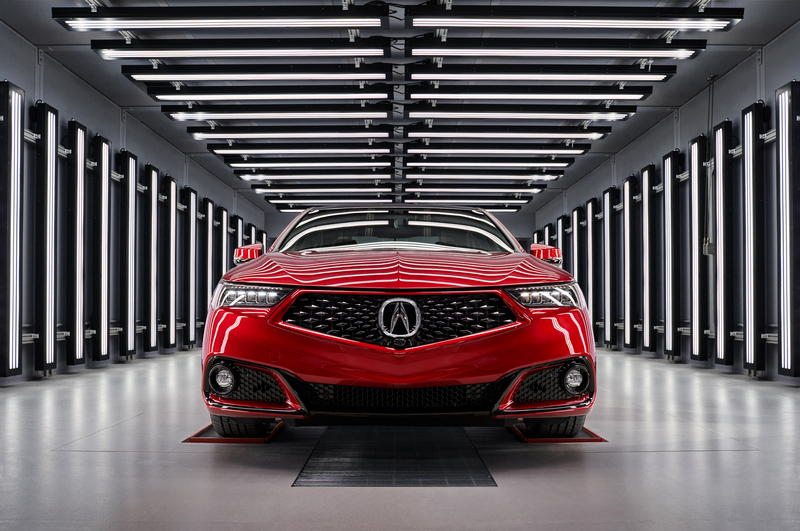 A new handcrafted version of the TLX built by the folks who assemble the NSX supercar. 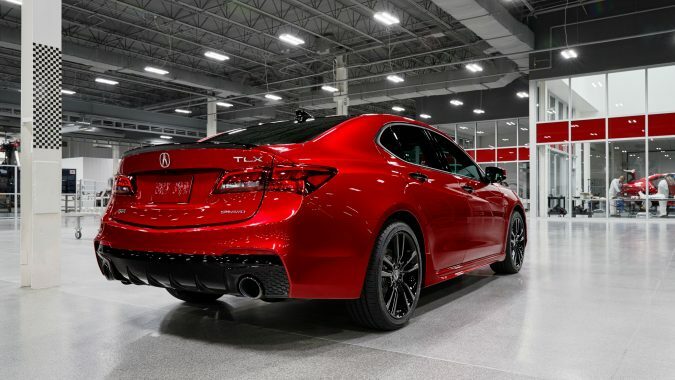 The new special edition will be badged the TLX PMC. That’s short for Performance Manufacturing Center. The Marysville, Ohio, facility where Acura technicians put together the NSX. Largely by hand. That includes tweaking body panel alignment and even suspension calibrations. 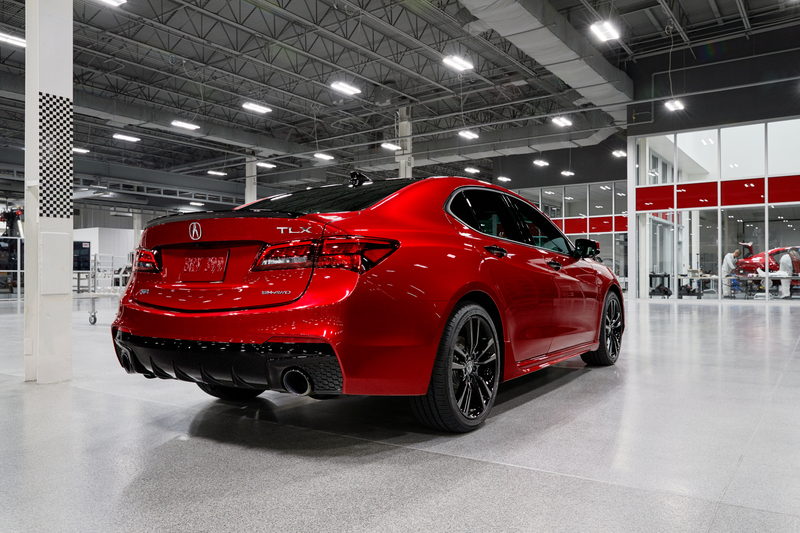 For the TLX PMC, the factory – should we call it a workshop? – starts with a standard TLX body-in-white. The bare unibody chassis. There, the cars will start with paint. Each will be finished in Valencia Red Pearl. Acura calls the colour, which was available before only on NSX, “the highest quality, most vibrant paint ever offered by Acura.” It uses mica, metal flakes, and nano pigments, applied by PMC’s robotic paint system. After the multiple base coats and two clear coat layers, each car gets a hand-inspection. The process takes five days. A normal car paint job takes 12 hours or less. After paint, PMC employees start the hand-assembly process. Adding the drivetrain and chassis components like suspension and wheels. As well as the wiring and computers. Then it’s time for a special interior. 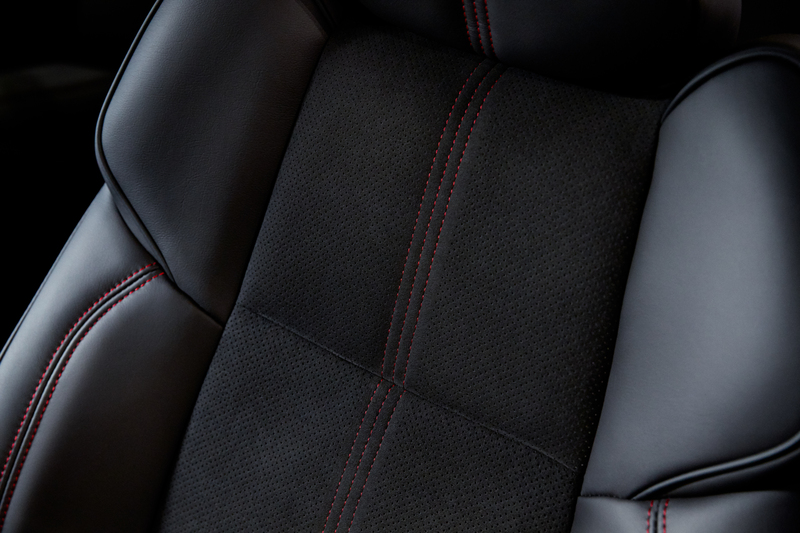 That includes black milano leather seats with Alcantara inserts, black piping, and red stitching. As well as a perforated leather steering wheel with red stitching. There’s more of that red thread on the door panel, centre console, and the armrest. Finally, Acura applies a numbered plaque. The PMC cars also come with the A-Spec appearance packages inside and out. That means a black grille and trim as well as side sill extensions. Once assembly is complete, the cars undergo the same final inspections as an NSX. That means a dynamometer check of the running gear; a final paint inspection to make sure nothing was dinged during assembly, and even a rough-road simulation to check for rattles and squeaks and a water leak test. Then, before the cars are sent to dealers in an enclosed carrier, they are wrapped in a special car cover to protect the finish. 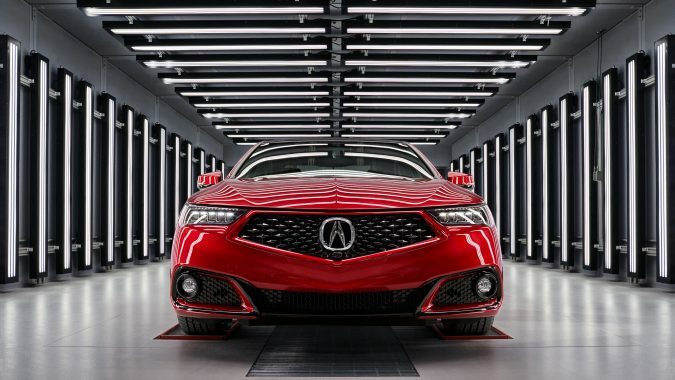 “We wanted to create something exceptional with these models for Acura enthusiasts and collectors alike. 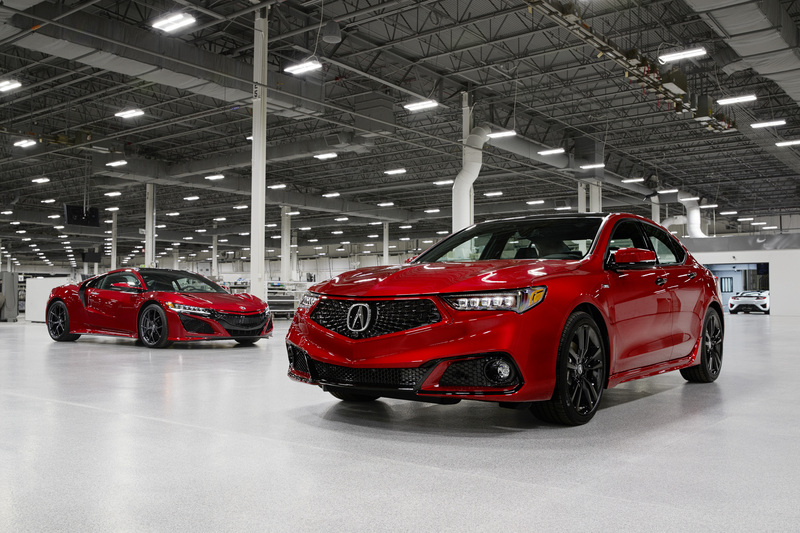 Leveraging the advanced capabilities and precision craftsmanship of our Performance Manufacturing Center, we believe we have done just that,” said Emile Korkor, Assistant Vice President of Acura Sales and Marketing. The PMC facility was designed for flexibility. So they can add handcrafted vehicles like this and not just the NSX. The TLX won’t be the only PMC vehicle. There’s also an MDX planned, and Korkor said that the company plans on looking at more in the future. 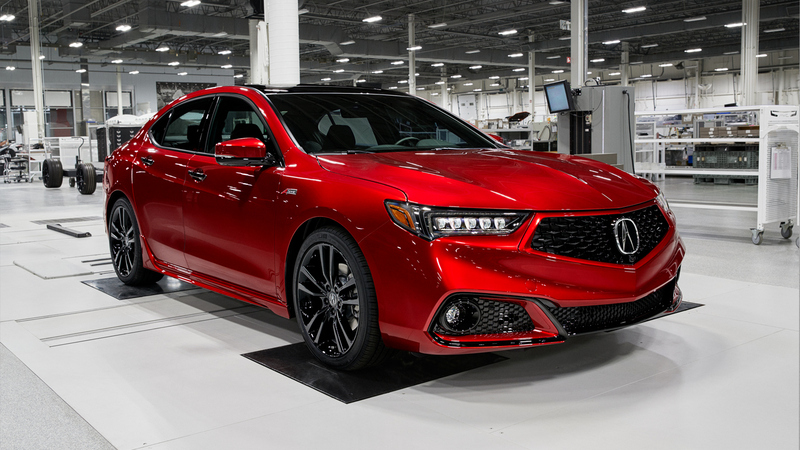 The hand-built 2020 TLX PMC will start production this summer and the car will go on display at the New York International Auto Show starting next week.